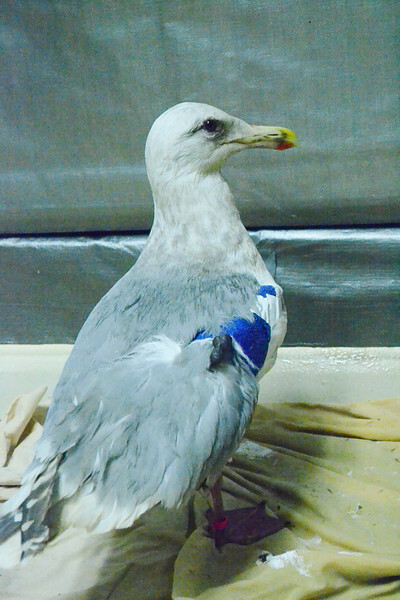 This Glaucous-winged Gull was admitted to Native Animal Rescue in Santa Cruz on January 31 with a badly broken right wing and a wound on its hock joint. 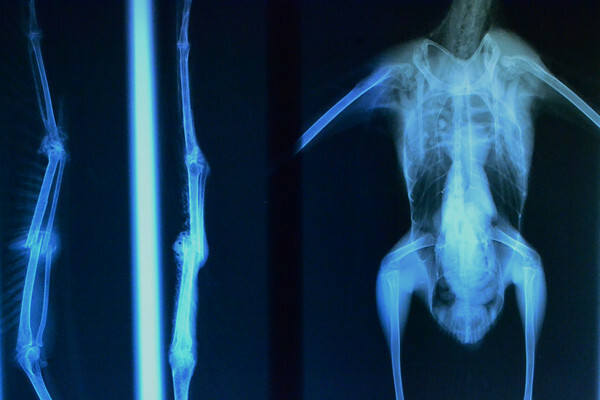 After transfer to our SF Bay center we found the bird to have a massive amount of soft tissue damage at the site of a double fracture of both the radius and ulna. In order to have a decent prognosis for recovery, this sort of combination fracture requires surgical pinning. 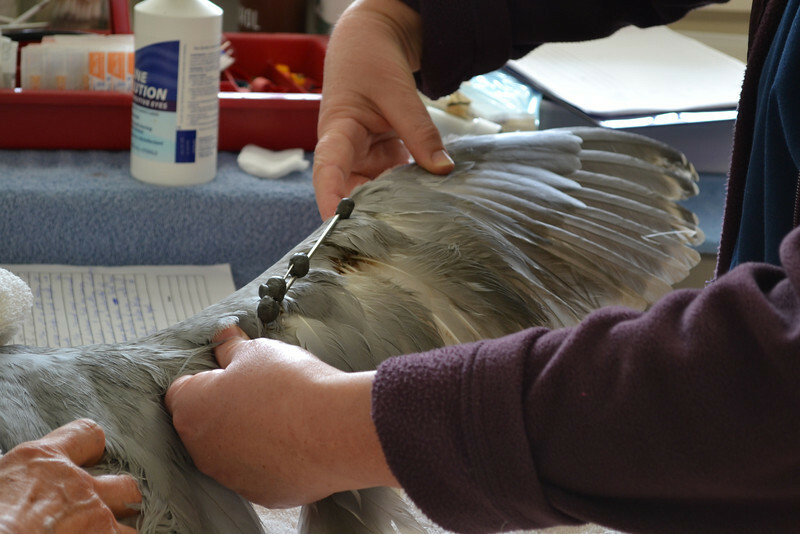 After a day of stabilizing care, our veterinarian pinned the wing fractures and also dressed the leg injury on the hock. The bird recovered from surgery well and has been doing great since the procedure. Currently, the leg injury has largely healed and the pinned wing is doing well. Initial concerns about blood supply and whether the soft tissue injuries were too severe to support fracture healing have been resolved. 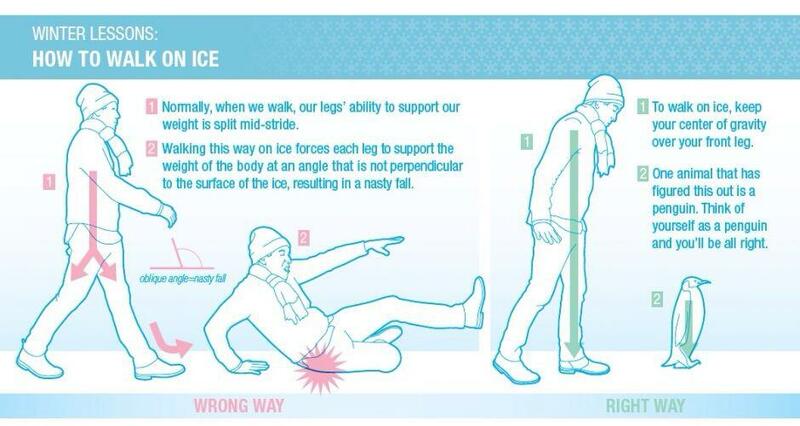 Prognosis for flight ability remains guarded. 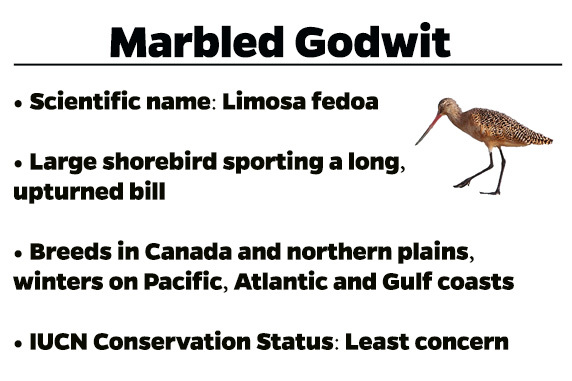 The Marbled Godwit is the largest of four godwit species — shorebirds with long bills used to probe for mollusks and aquatic worms. 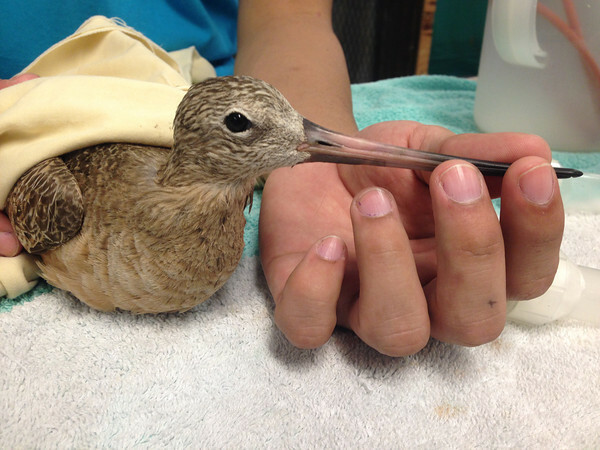 One of our Los Angeles center’s new patients is this Marbled Godwit, found injured in Isla Vista, CA on February 9. 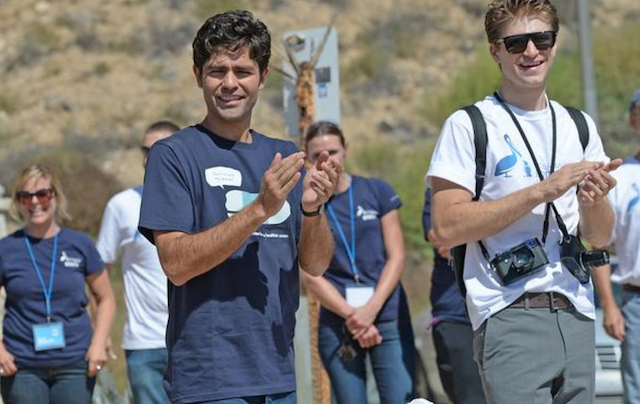 The bird was found unable to stand and had blood on its face. Upon the godwit’s transfer to IBR on February 12, dried blood was found behind the left ear consistent with head trauma of unknown cause. 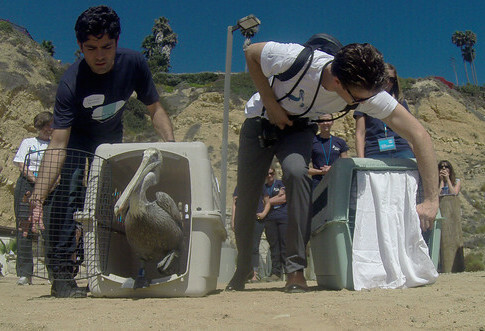 The good news is that this bird is now standing and receiving supportive care. We’ll keep you posted on its condition. • As any regular reader to this blog all-too-well knows, plastic ingestion is a huge problem for seabirds and other marine life. 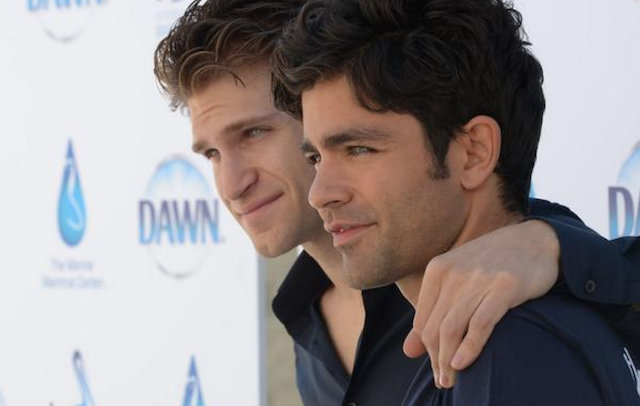 And: It may be worse than we imagined. 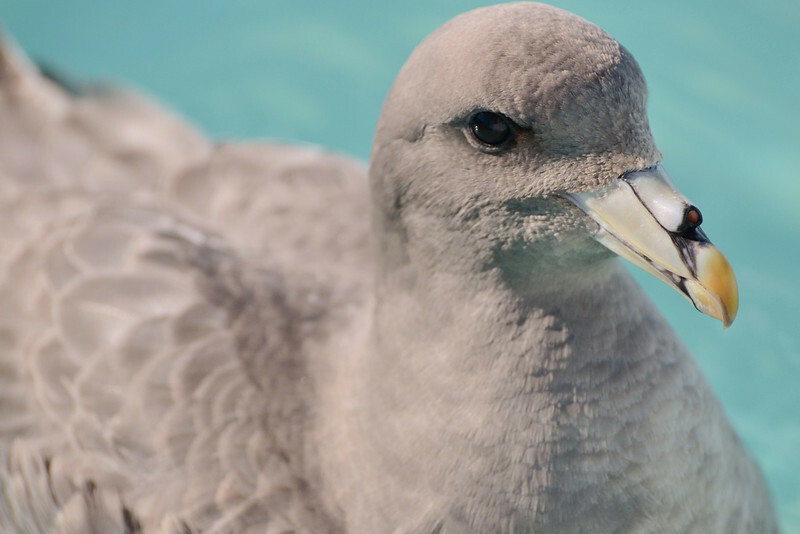 • In New Zealand, scientists discover a 58-million-year-old seabird that lived during the early Paleocene, making it one of the world’s oldest known species of flying seabirds. 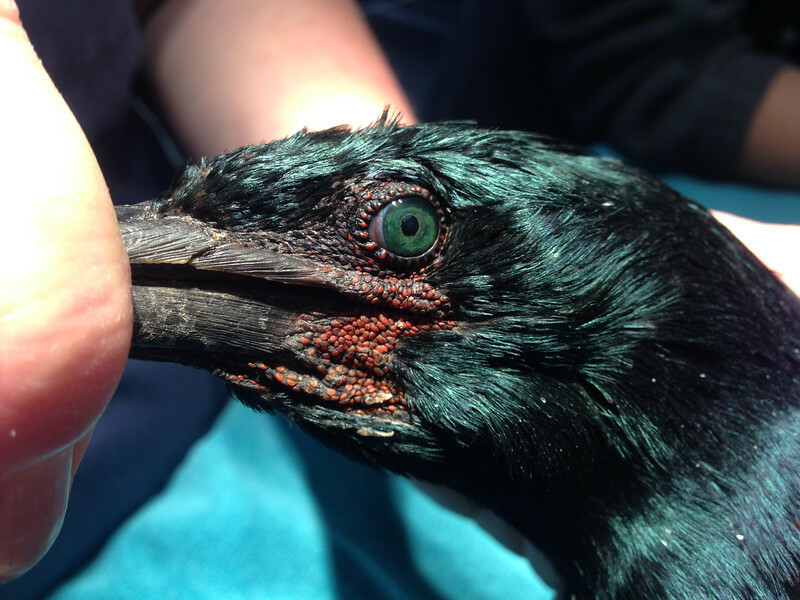 This beautiful Pelagic Cormorant was found with multiple fishing hook injuries. 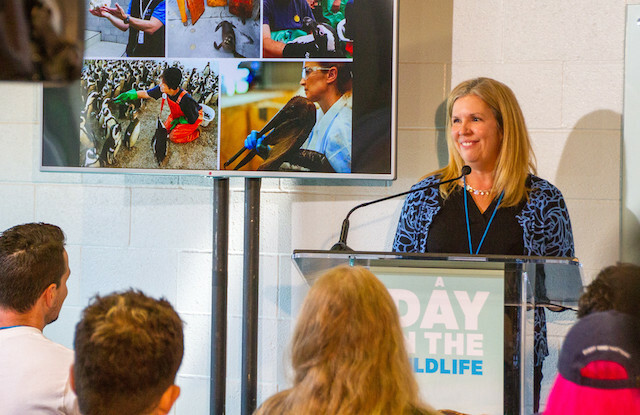 Our friends at California Wildlife Center removed the hooks and transferred the bird to our L.A. center, where it’s recovering from the wounds in an outdoor aviary. 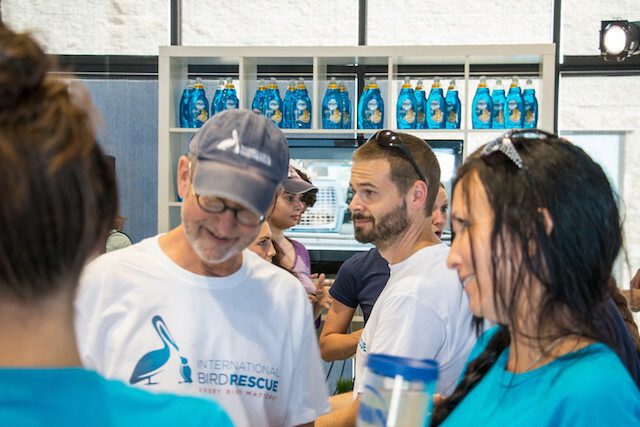 Wildlife rehab is all about teamwork! 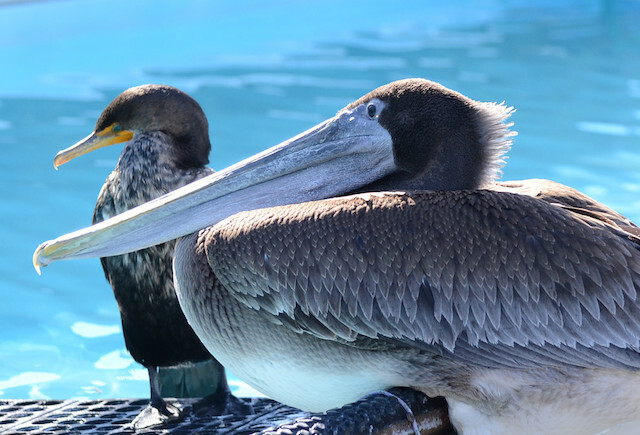 Last week, our Los Angeles center received an oiled Brown Pelican found wandering in a Torrance parking lot and picked up by the city’s animal control after it was unable to fly away. 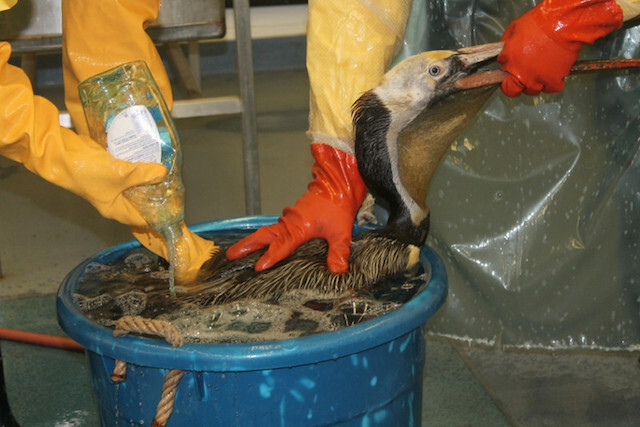 We’re not sure how this bird became oiled, but upon intake the bird was eating well and showed no other signs of injuries, volunteer coordinator Neil Uelman reports. 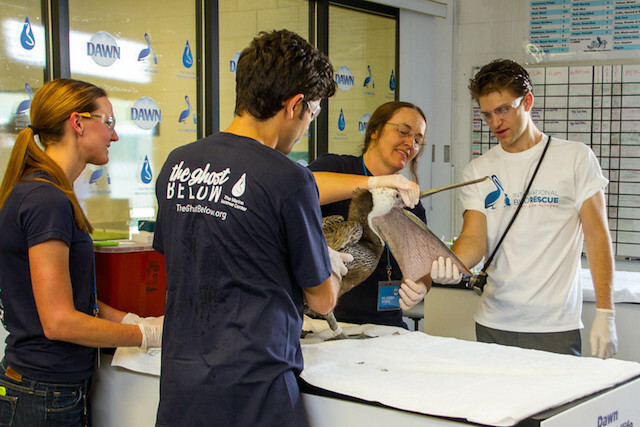 Here, IBR’s L.A. center team gives the pelican a thorough wash on Friday with the help of Dawn dish soap. 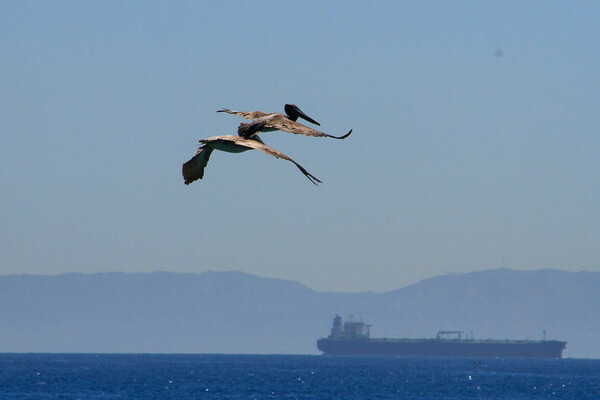 Also last week, International Bird Rescue partnered with Audubon California urging federal officials to finalize a coordinate monitoring effort of Brown Pelicans, as they have done for birds such as Bald Eagles and American Peregrine Falcons following removal from the Endangered Species List (the pelican was removed five years ago). You can send a message to U.S. 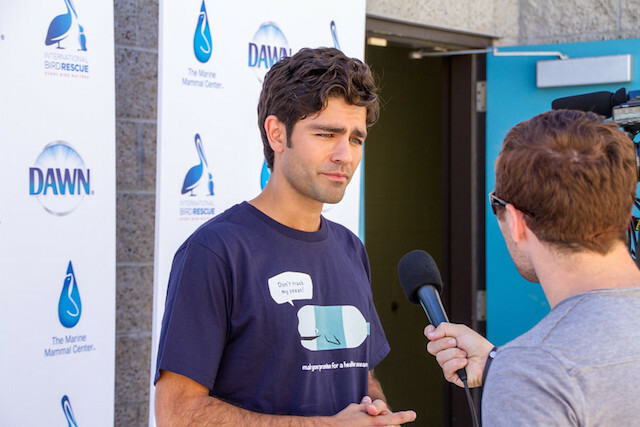 Fish and Wildlife Service by clicking here. 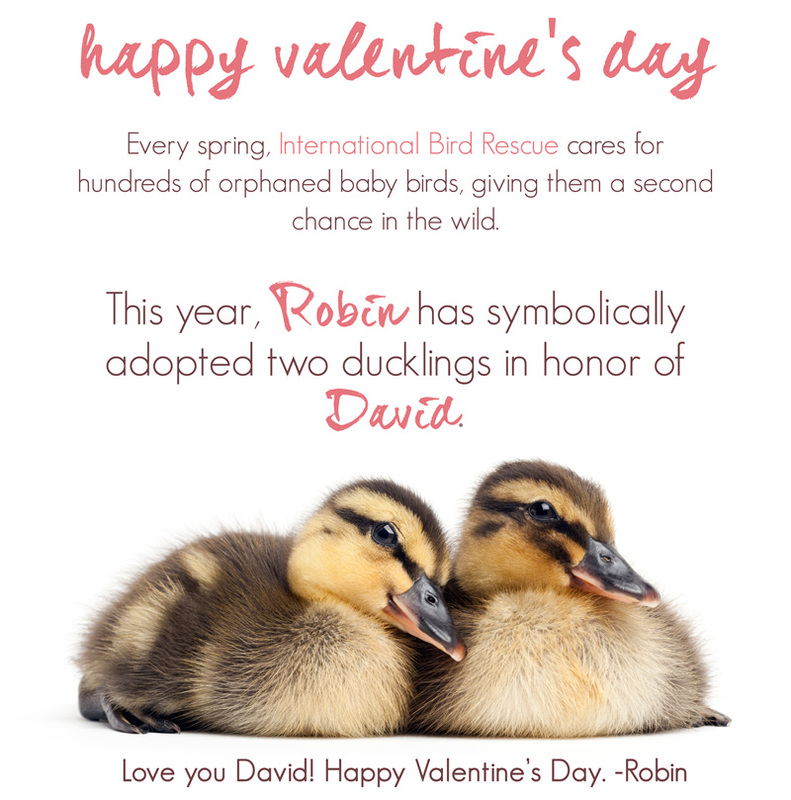 This Valentine’s Day, share a special note to a lovebird in your life with our duckling pair adoption. For just a $20 gift to International Bird Rescue, we’ll create this custom valentine e-card with an optional personal message and send it on February 14 to your special valentine. Your gift will help support the care and feeding of hundreds of orphaned baby birds like these wonderful ducklings cared for in the spring by International Bird Rescue. 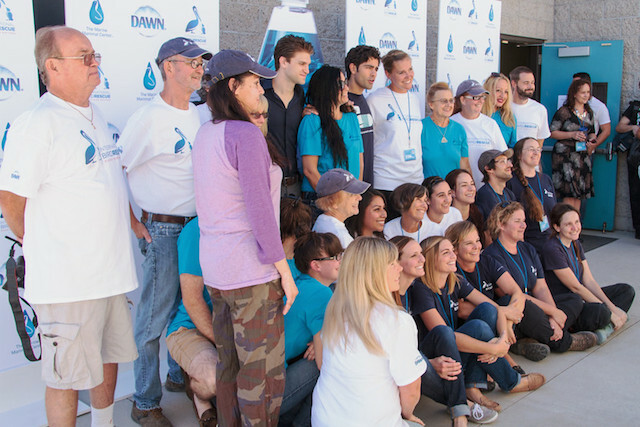 There are many reasons why large numbers of orphaned ducklings end up at our centers. Many mother ducks see landscaped yards as prime nesting spots. Once hatched, mother ducks must walk their babies to the closest available water. In that initial and important first journey, they meet cars, dogs, people, steep gutters, storm drains and wild predators. Many ducklings become separated and stranded and attempts to reunite them with their panicked mother are often futile. 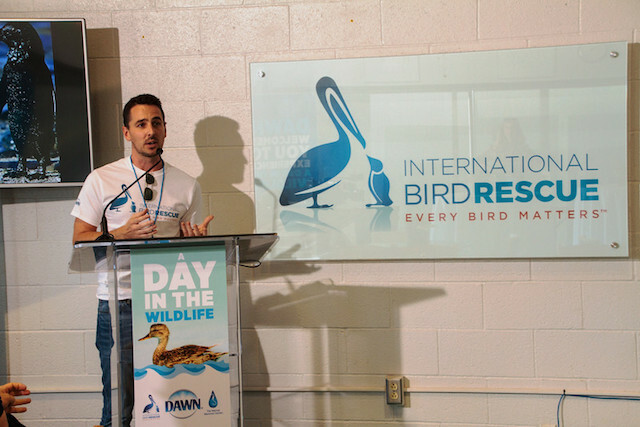 Thankfully, many of these birds end up in our care. Click here to send a valentine! Your gift of $20 will help care for two ducklings. This is the perfect valentine for the wildlife lover in your life! 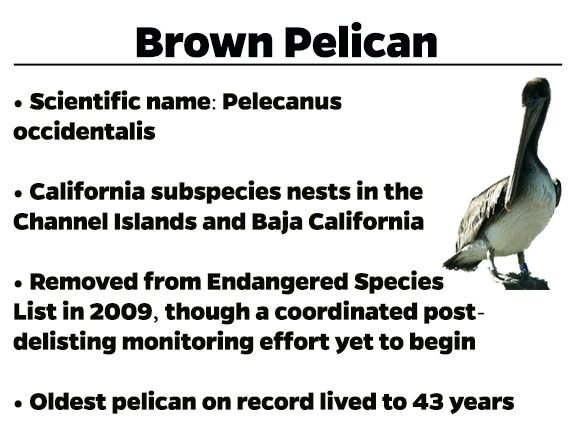 Our San Francisco Bay center’s pelican aviary has been home to a solitary Brown Pelican for several months now. Cormorants, gulls and other birds have come and gone in this enclosure, but this bird’s healing is requiring more time and patience. 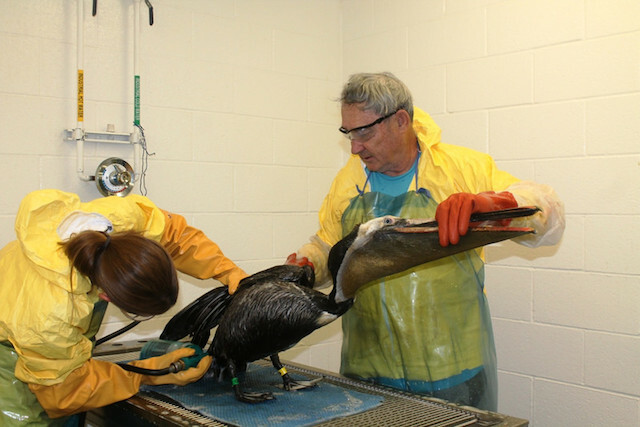 Upon intake in 2013, we found this male pelican was suffering from a laceration to his left patagium — a flap of skin at the leading edge of the wing, vital for flight — caused by a fishing hook/monofilament fishing line. 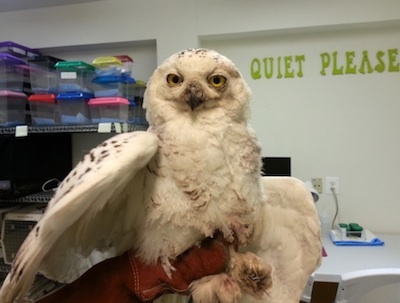 Currently, our patient of the week is undergoing flight exercises now that this injury has finally healed. 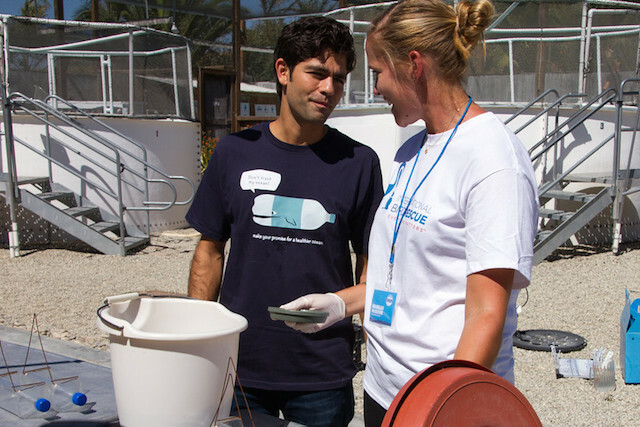 Below, the bird can be seen playing around as one of our volunteers siphon-cleans an aviary pool. Click here for previous patients of the week. 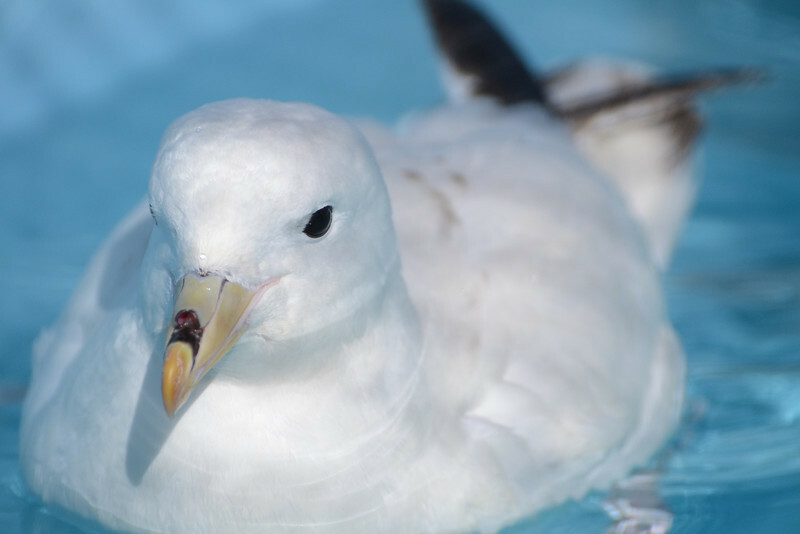 Close-up of the Northern Fulmar’s distinctive tubenose, photo by Cheryl Reynolds. 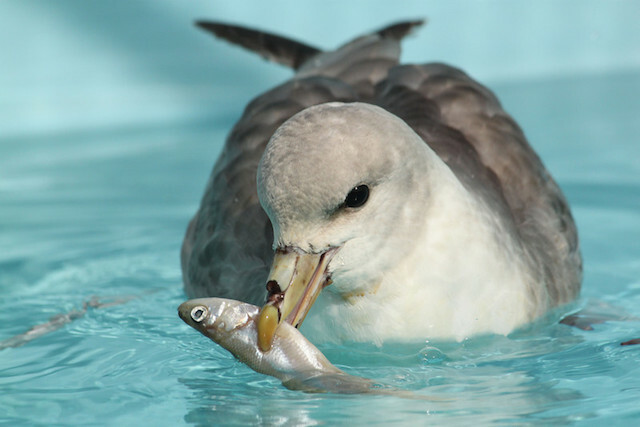 This month, the most abundant species in our care is the Northern Fulmar. 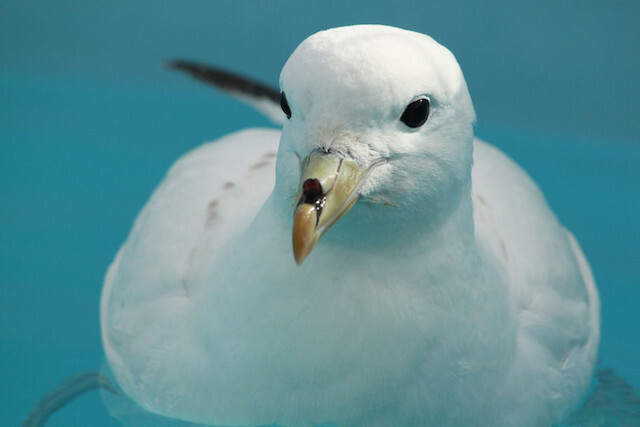 Our San Francisco Bay center is currently caring for 17 of these birds. 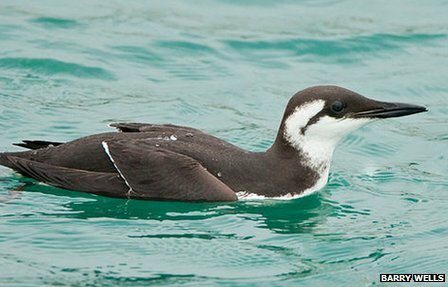 Though this species is normally far out at sea, these birds were found unable to fly along the coastline in San Francisco, Santa Cruz and Monterey. 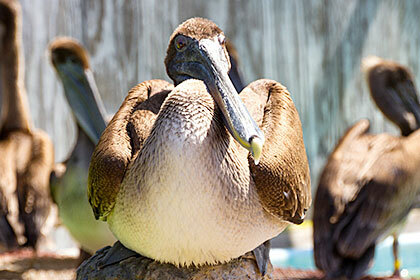 You can see some of these birds live on our BirdCam. 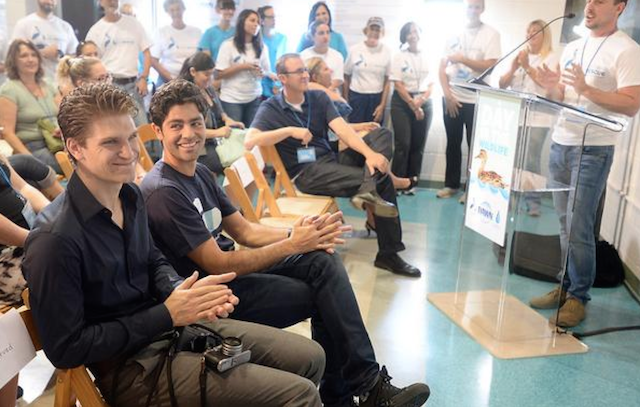 Upon intake, they were all found to be emaciated, anemic and dehydrated. We are currently looking into potential causes for their condition. 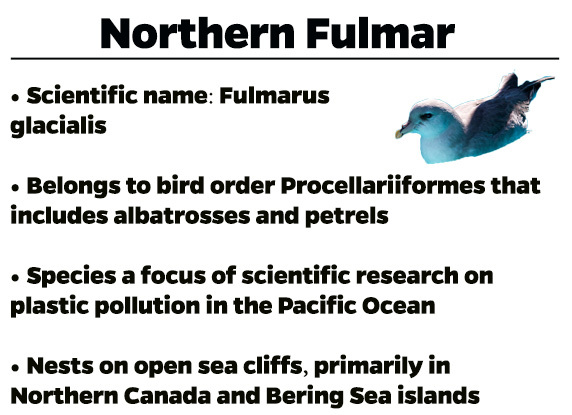 A member of the family Procellariidae that includes albatrosses, petrels and shearwaters, the Northern Fulmar has a distinctive tubenose structure on the top of its bill that helps remove salt from its system via a saline solution that passes through the nostril. 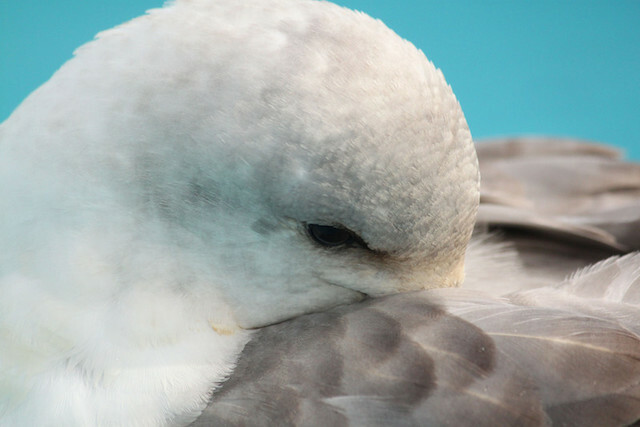 In recent years, fulmars have been studied as a biomonitor for measuring marine plastic debris, in part because they feed exclusively at sea. 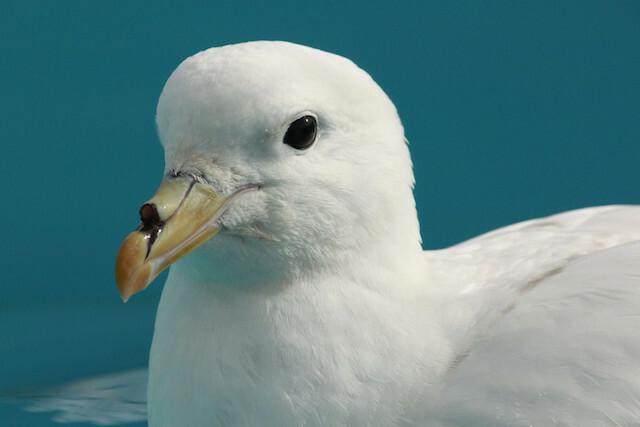 One study in 2012 found a staggering 92.5% of the fulmars examined had plastic in their stomachs — detritus from fishing line and Styrofoam to bottle caps and shards of indeterminate origin. 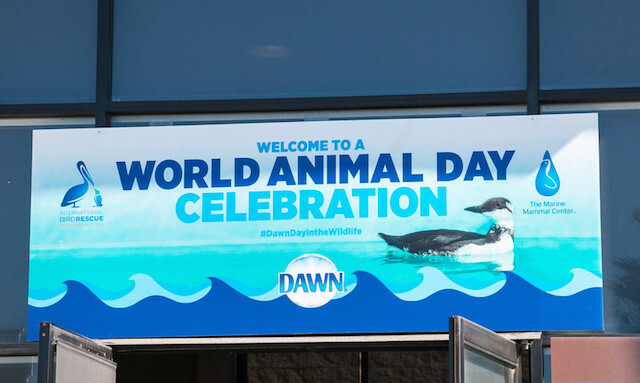 • Magellanic Penguin chicks are dying in greater numbers, in part the result of extreme weather driven by climate change, according to a new study published this week in the journal PLoS One. 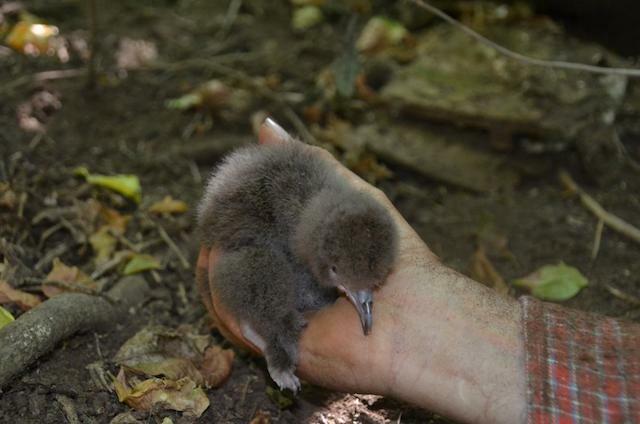 Researchers studied penguin chick mortality at Punta Tombo, Argentina from 1983 to 2010. 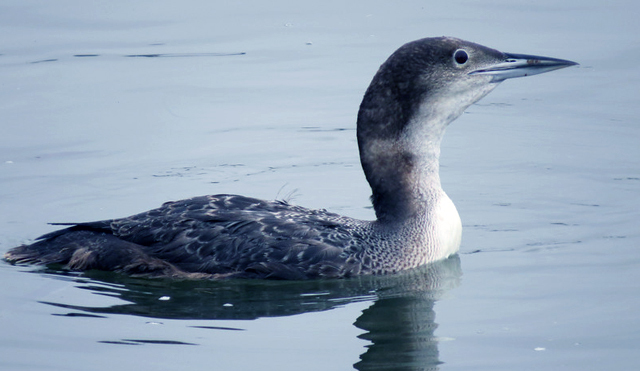 One of our most recent patients of the week is this Common Loon, which we’re pleased to report is the Los Angeles center’s first loon release of 2014. 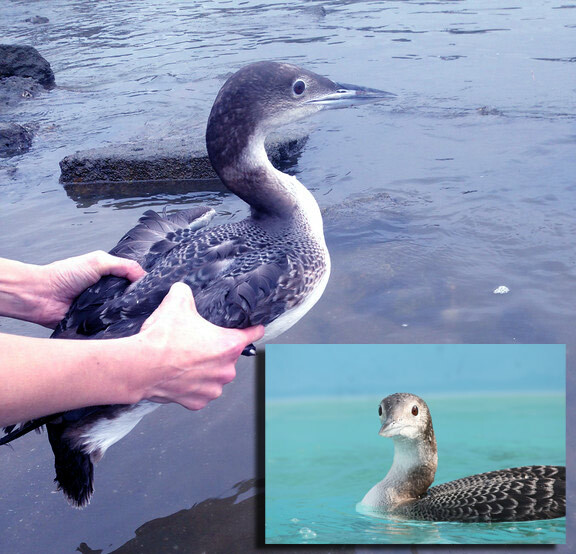 The backstory: This loon was found in late December, having crash-landed on Ventura Blvd in Studio City, CA. 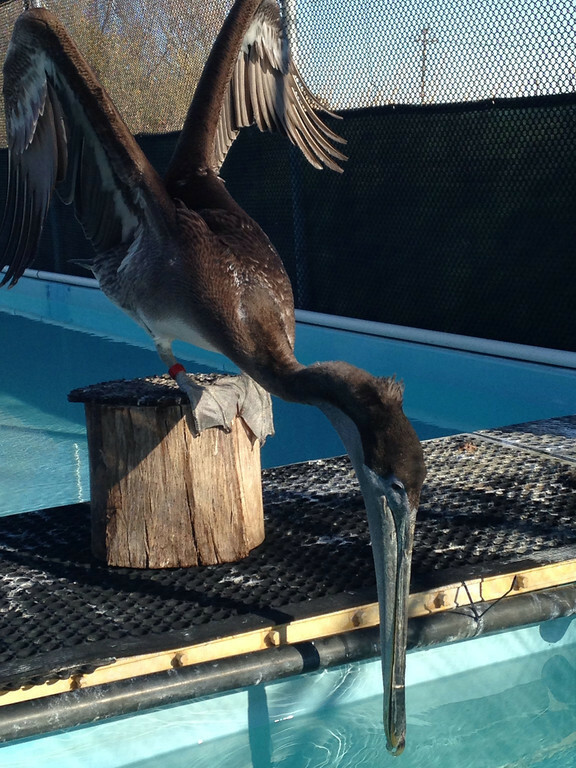 The animal was brought to California Wildlife Center, where it was hydrated and stabilized before transfer to our aquatic bird specialists. 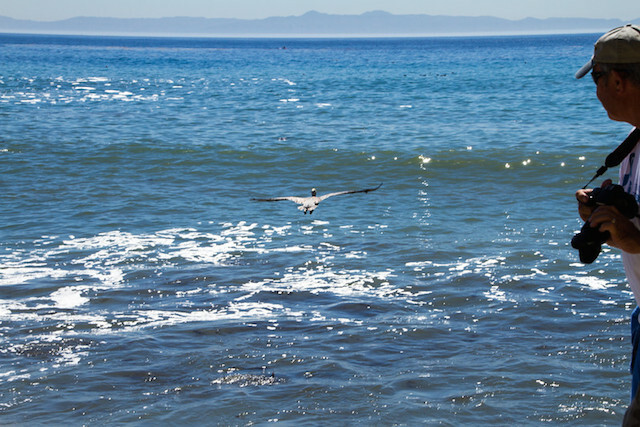 After several weeks in care, this beautiful loon was released back to the ocean — much more suitable habitat than Ventura Boulevard! 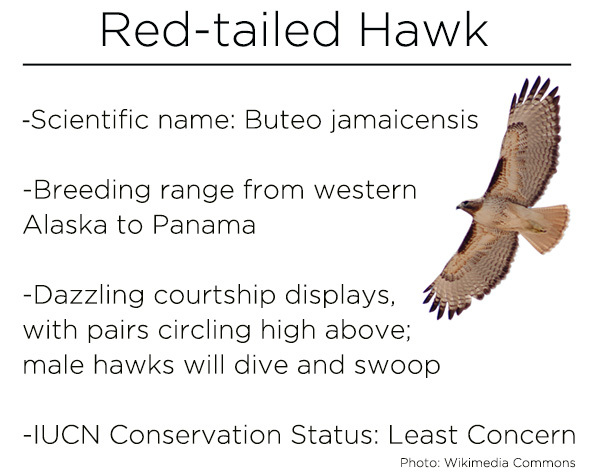 It seems we post about an oiled hawk every few weeks, and thus far 2014 is no exception. 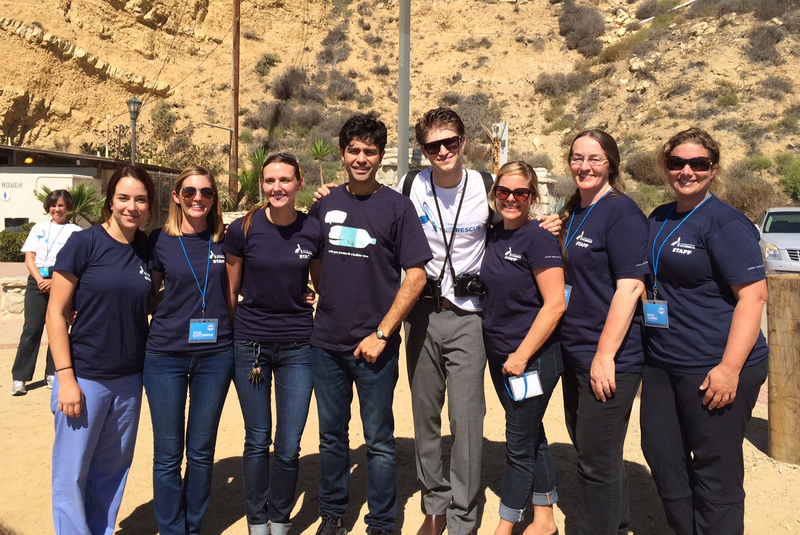 The rehab team at our Los Angeles center recently washed this Red-tailed Hawk, found at an area refinery covered in thick, black oil. Paul Berry took this fantastic photo from the wash procedure. 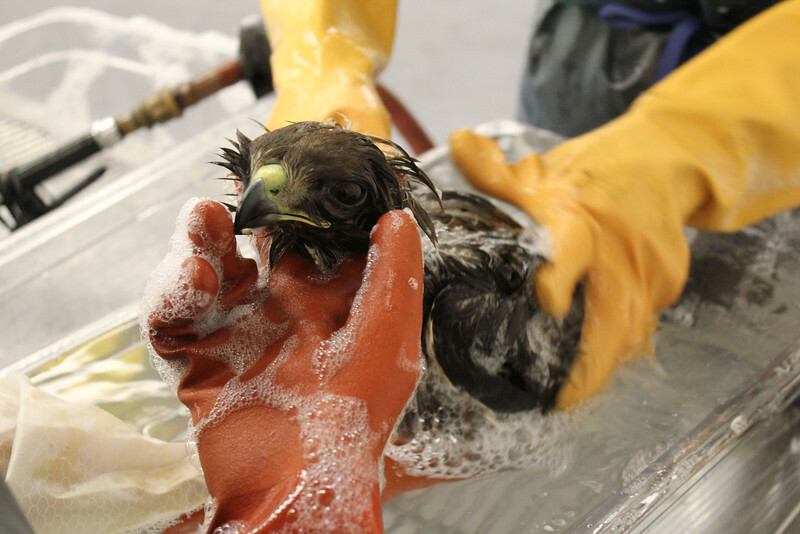 The hawk was transferred to South Bay Wildlife Rehab this past Thursday and fortunately did not suffer significant burns from the oil contamination, rehabilitation technician Kylie Clatterbuck reports. 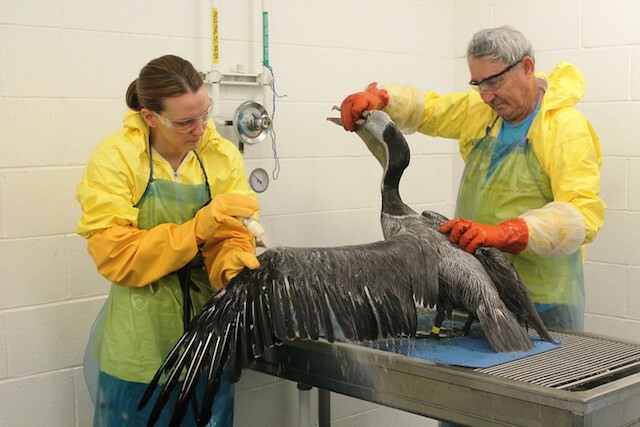 While we normally care for aquatic birds, our team is equipped to handle many other species affected by contamination. Birds of prey we’ve cared for include Western Screech Owls and this Sharp-shinned Hawk that had been contaminated with glue trap material. 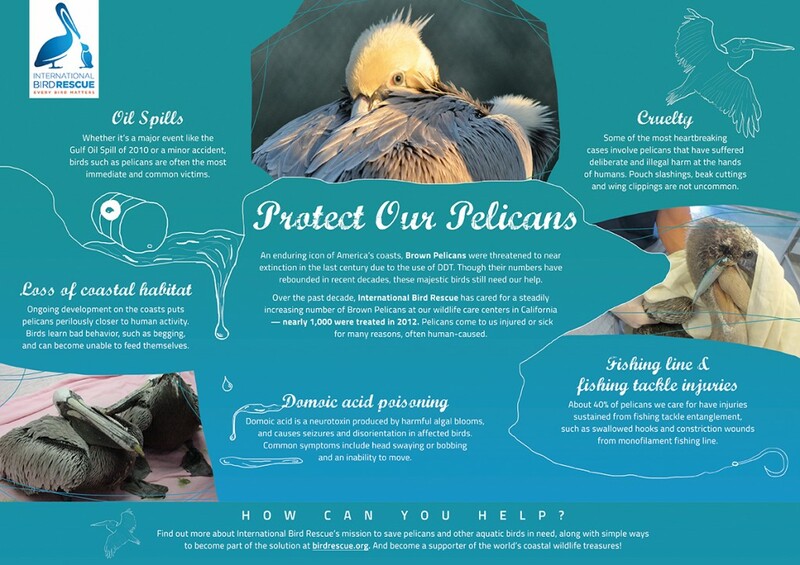 Check out more of our work to save oiled birds at Dawn Saves Wildlife.